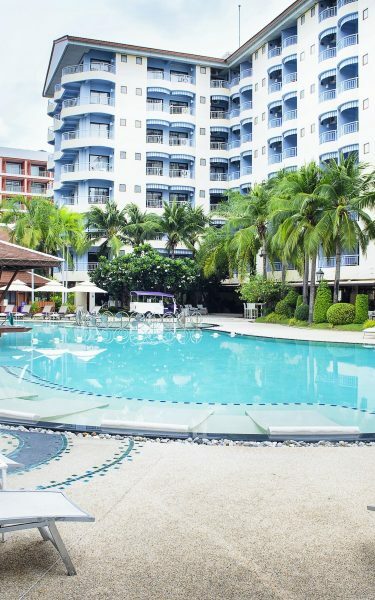 Mercure has a convenient location for families on holiday or relocating to Pattaya. The family friendly hotel is also pet friendly, with a large Kids Aqua Zone, adjacent to the adult one. The hotel has everything a family will need on holiday, from the PlayStations inside the suites, to a full library by the pool, and a variety of activities for indoors or outdoors depending on how the weather is. Rainy season or hot season Mercure has the whole family covered. Right on 2nd Road in between South Pattaya Road, and Central Pattaya Road at Beach Road Soi 15 is the family friendly Mercure hotel. 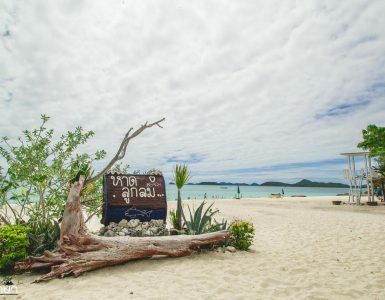 Only 5 minutes from the beach, Central Festival, Walking Street, and dozens of dining options from street food to Michelin rated and everything in between. There are many types of attractions in Pattaya and Mercure with its central location is close to many of them. 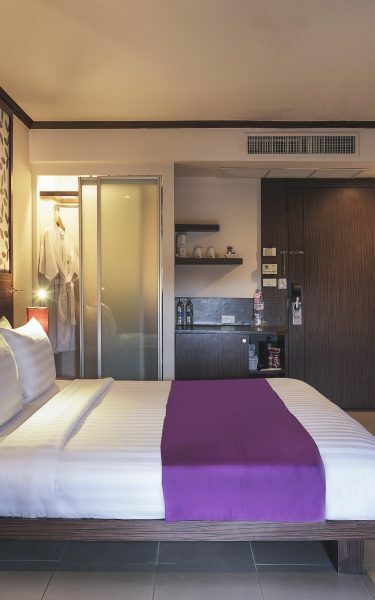 Mercure features 12 Family Suites that are a full 32 meters square with a Queen bed, and a pair of bunk beds. The bunk beds have a TV and PlayStation 4, along with a slide to get down from the top bunk. 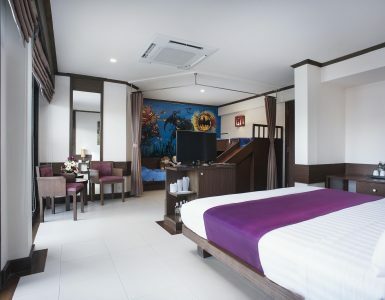 The walls are adorned with life sized paintings of comic book superheroes from DC and Marvel, or Disney cartoon characters depending on the room. There is a small dining area in room, and each of the bathrooms inside the Family Suite has a real bathtub. There is a balcony, and the room comes standard with coffee station, mini bar, electronic key entry, fire sprinklers, and all other safety features that are standard in the hotel. The Aqua Kids Club opens daily at 10:00 am till 7:00 pm and has many different options to entertain kids of all ages. There is a full library with a range of books at different reading levels aimed at young readers. There are PS4s with all the latest releases, as well as card games and board games for strategy. Get their creative juices going with art supplies like play doh, and drawing. The kids zone is safe and has large windows so parents can relax by the pool and keep an eye on their children at the same time. Families with kids of any age will find plenty to do at the Mercure in Pattaya. Teenagers can be some of the hardest to entertain, especially when travelling with family. Mercure has gone to great lengths to provide an environment that even a teenager will enjoy. There are chaise lounges, and bean bag chairs for taking in some sun. The variety of games available in and around the water is practically endless with water polo, the giant clear ball that allows you to walk on water, water slides, pool, foosball, volleyball, bocce ball, golf chipping & putting, and even darts. There is even a cinema set up outdoors to watch movies. Order a snack from the Cafe, or pick something up from the bakery to munch on during the flick. The family friendly aspect of this Pattaya hotel does not stop at kids. Mercure also welcomes pets on the premises. Bring your 4 legged family members and check them in for only 500 baht per night extra. Rooms may have up to 2 pets that do not exceed the weight limit of 10 kg each. When Mercure says they want you to bring the whole family, they really mean it. For activities on the grounds there is an activities coordinator available to help organize events for your family. Staff members can help with booking any of the family friendly activities during your stay. 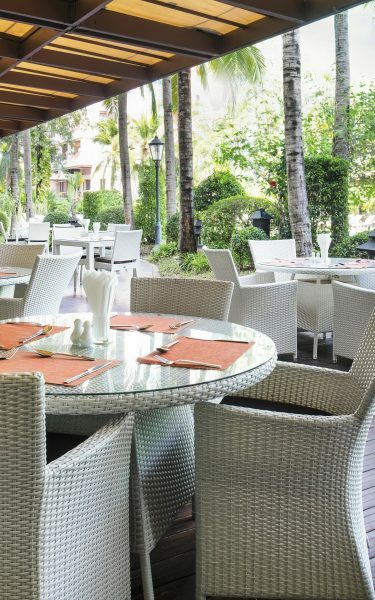 Mercure has a lot of options for families in Pattaya. Book your next family holiday to Pattaya now at Mercure.